Sunday, Nov. 6, Bell Event Centre, 444 Reading Rd. The premise of Empty Bowls is simple. Potters from the Clay Alliance create handcrafted bowls, then invite guests to a simple meal. 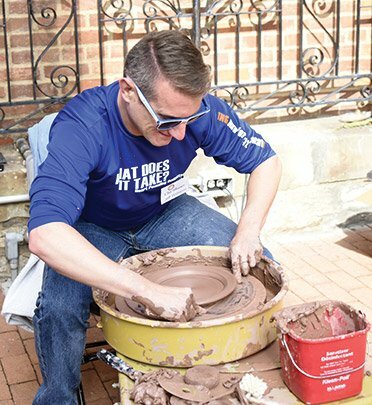 As a reminder of the event and of all the empty bowls in the world, guests are invited to select and keep one of the 1,200 bowls made by the potters. You buy a ticket for one of two seatings: 11 a.m.-1 p.m. or 1:30-3 p.m. You can show up any time during your seating period. Inside the Bell Event Centre, you choose from a display of 350 handmade bowls and put that bowl in a gift bag to take home. The supply is replenished throughout the day, so there’s no need to be first in line to get a great bowl. Next, the food. You choose from several soups, bread, dessert and drinks. 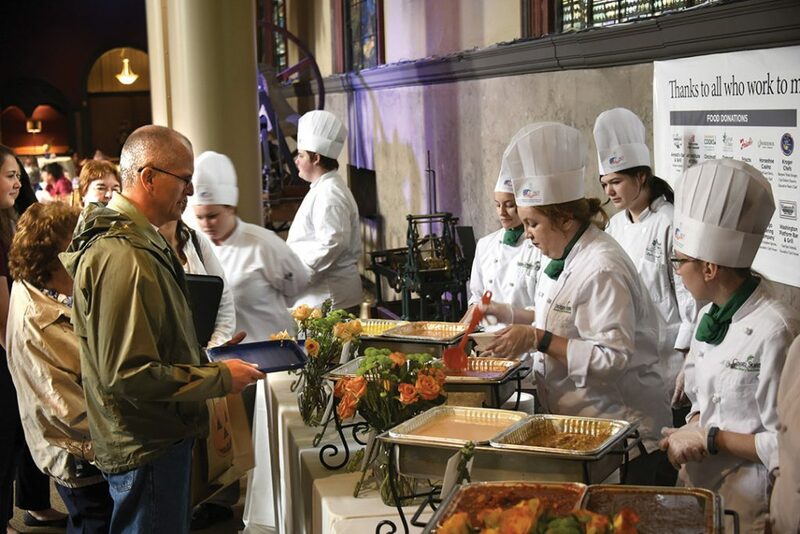 Food is prepared and served by the American Culinary Federation of Greater Cincinnati. You dine to the sounds of live music, with light pouring through the stained glass windows. Outdoors, you will find demonstrations by Clay Alliance members, a “Buy It Now” pottery sale and live entertainment. 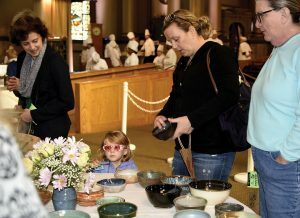 Empty Bowls is put on by the Clay Alliance in partnership with the American Culinary Federation of Greater Cincinnati. It is sponsored by the Cincinnati-Northern Kentucky Honda Dealers. The annual event benefits the Kids Cafe of Freestore Foodbank, which provides local children with nourishing meals, homework help, personal hygiene assistance and enrichment activities. To date, Empty Bowls has raised more than $200,000 for this program. Tickets are $25. For accompanying children, there is a food-only option for $6.